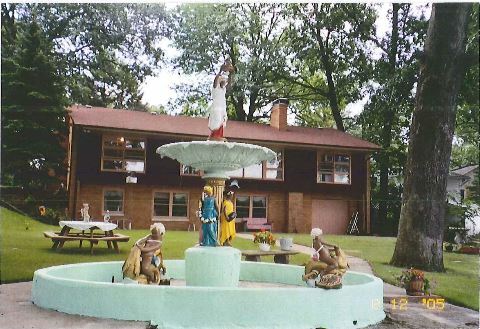 Help Us Restore the Fountain! Once again the historic fountain will be a gathering place for grown-ups, children, and all young-at-heart; where special occasions will be celebrated, culture can be expressed, art can be enjoyed, and the community can appreciate the beauty gifted to us so many years ago. 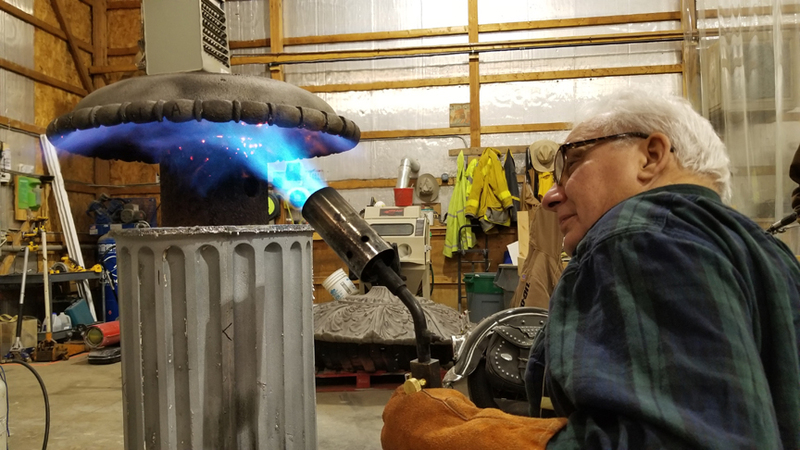 The Studebaker Electric Fountain has had some love and attention spent on it recently at McKay Lodge Art Conservation Laboratory in Oberlin, Ohio and Robinson Iron Works in Alabama! Photos below show work on our Electric Fountain and the progress being made. 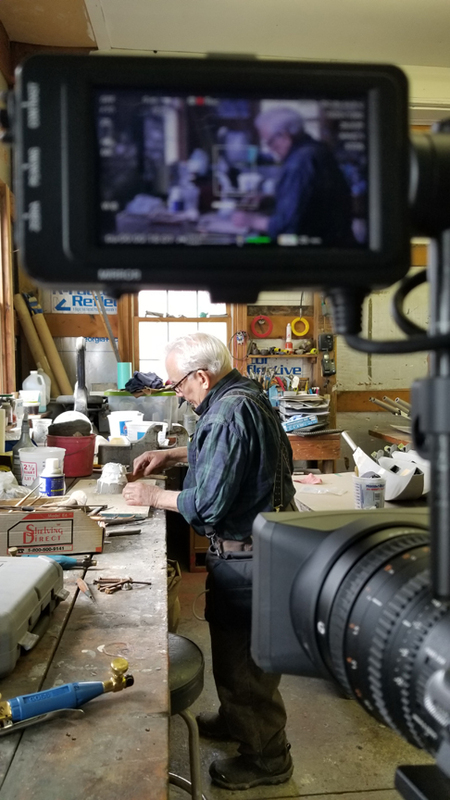 WNIT is also producing a one-hour documentary on the history of John M. Studebaker and his fountain. They took some of these great shots! We are still raising funds for expenses as they continue to add up, so please donate now to our charitable organization to ensure the Fountain exists for generations to come! Donate by clicking the "DONATE NOW" button or contact Vicki McIntire at vickimcintire@comcast.net! There will be a large debut opening party this summer for all donors to celebrate! Bricks are still available to support our fundraising! Click the DONOR INFORMATION to learn more. 2019 Is The Year! The Plans Are Approved! 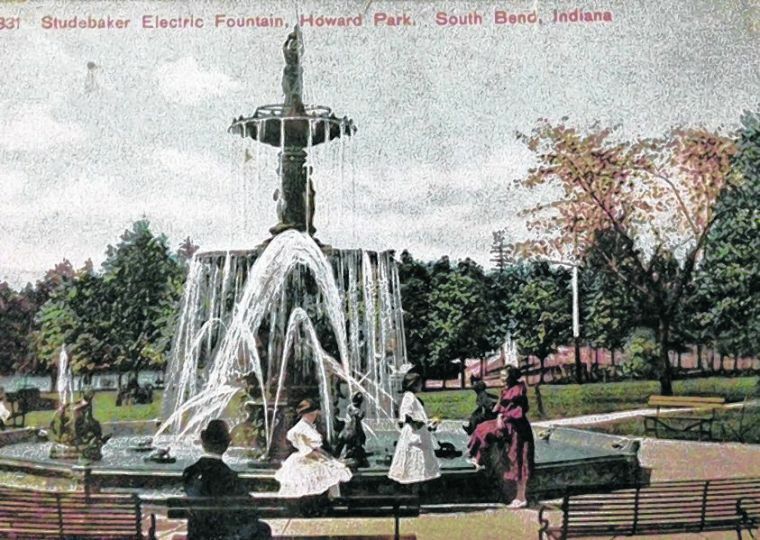 The Studebaker Electric Fountain's location has been approved by the City of South Bend Venues, Parks & Arts and the Historic Preservation Commission of South Bend & St. Joseph County. 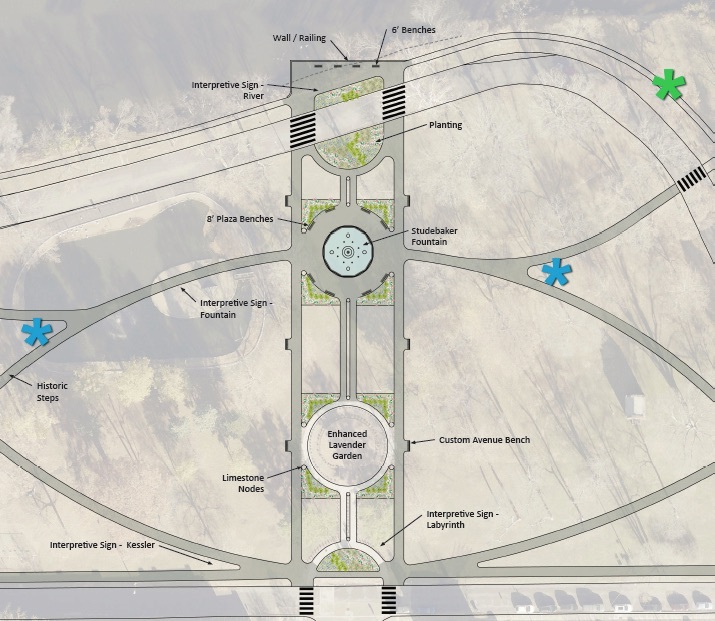 The Fountain will be right in the middle of the park, easily seen from the highway and the river, with plenty of room all around for tents and bands and celebrations of all kinds! Donate by clicking the "DONATE NOW" button or contact Vicki McIntire at vickimcintire@comcast.net! There will be a large debut opening party this summer for all donors to celebrate! Bricks are still available to support our fundraising! In 1876, John Studebaker, President of the Studebaker Brothers Wagon Works, took his display wagon to the United States Centennial Exposition in Philadelphia. J.L. 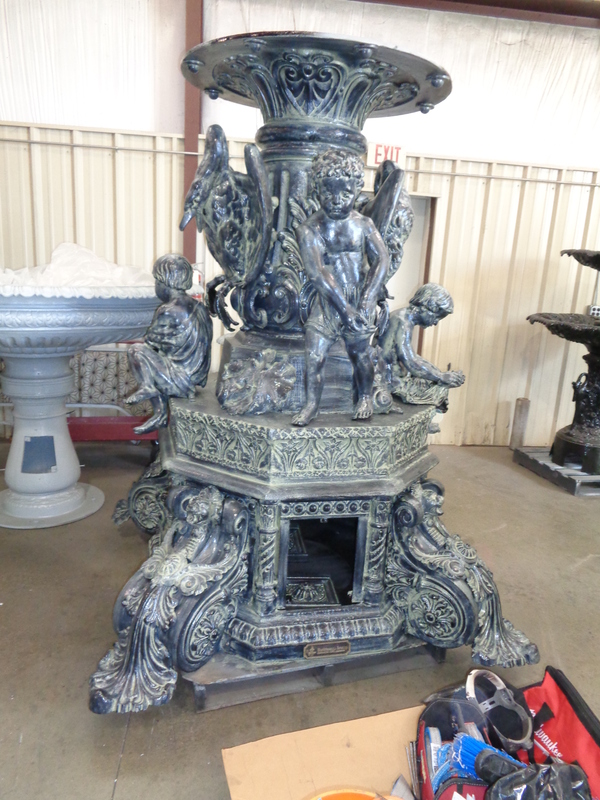 Mott Ironworks from New York brought an elaborate cast iron fountain to the Exposition to display. 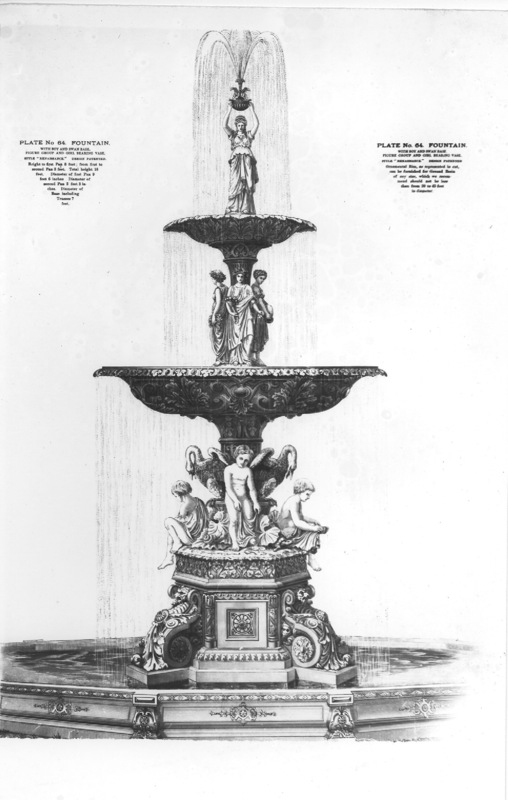 According to a review at the time, Mott's fountain stood 25' tall and was said to have the largest cast-iron basin in the United States. Eventually, John Studebaker decided he would order one of these fountains to bring back to the City of South Bend. On July 21, 1906, the fountain arrived in South Bend. It was electrified with hanging light bulbs, donated to the City by John Studebaker, and was placed in Howard Park. The fountain stood 28' high with the bottom basin about 34' in diameter. The cost was nearly $10,000. Thousands came to Howard Park to celebrate the dedication of the fountain, reported as an, "...imposing ornate font with splashing waters illuminated by electric lights." What Happened to the Fountain? 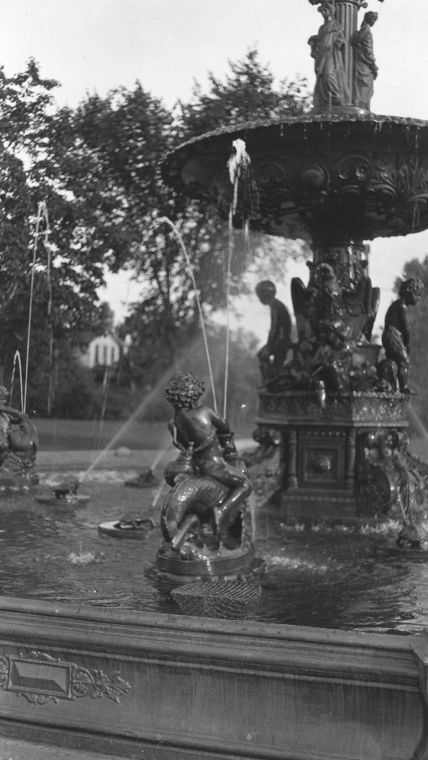 Citizens continued to enjoy the beauty of the fountain for almost 35 years until 1939. As World War II began, the City Parks dismantled the fountain. Many believed that the fountain had been melted down as scrap metal. 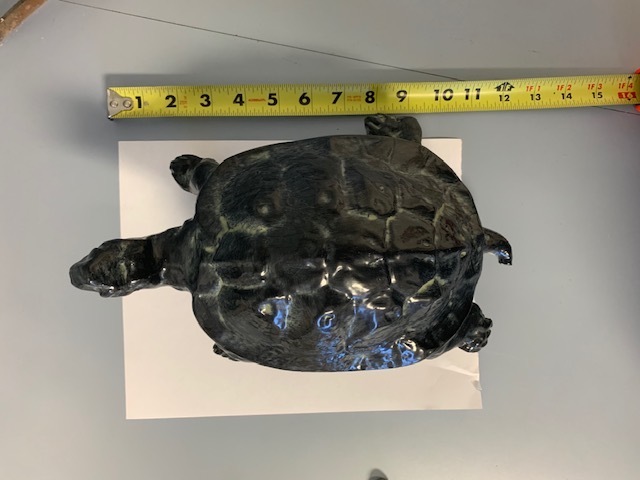 Fortunately, a local family had rescued many pieces from destruction and the family moved the fountain and its pieces (the top 1/3 of the fountain, 3 boys on dolphins, and two turtles) to their home along the river in Osceola, where it continued to operate as a fountain until 2009. That same year, the Seiler family donated the fountain and all of its pieces to The History Museum. 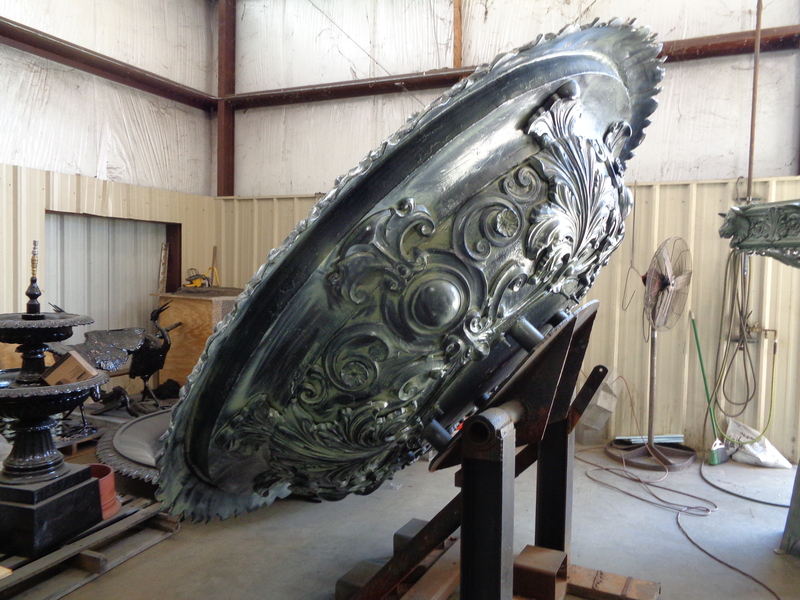 The fountain restoration will be completed by McKay Lodge Laboratory: Fine Arts Conservation. They will restore the fountain's original parts and handle the oversight of the entire project. Those parts that are either missing or cannot be restored will be re-cast by artisans of Robertson Iron, who acquired and still maintain all of the original molds from J.L. Mott Ironworks. 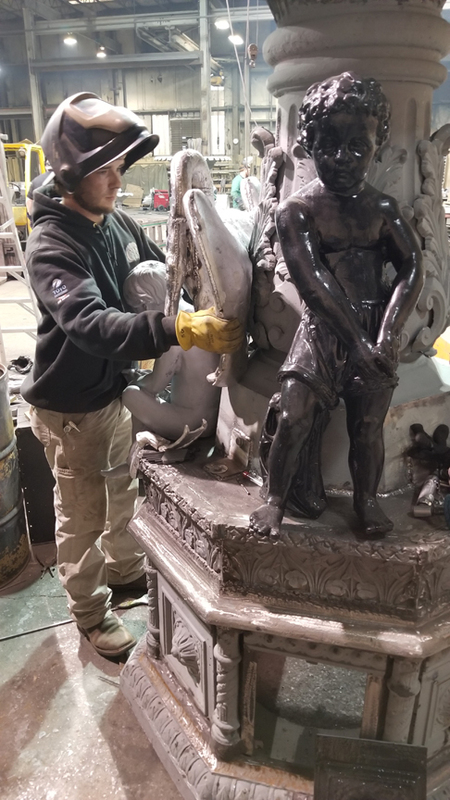 McKay Lodge will ensure the pieces are meticulously reassembled in order to recreate the beautiful fountain originally gifted by J.M. Studebaker and placed in Howard Park in 1906. The City of South Bend has generously committed to provide the infrastructure and installation for the project. 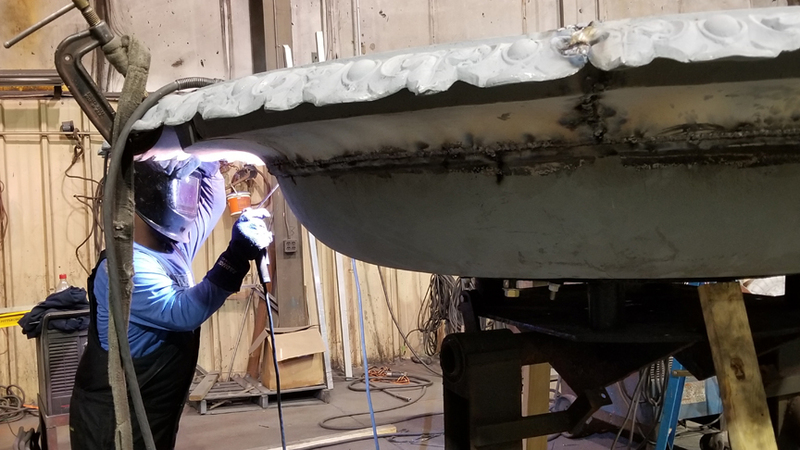 Once completed, the fountain will be placed in a beautiful area of South Bend's Leeper Park where it will welcome all as they enter our city from the north. A project of this importance can only be achieved by the support of individuals like you. 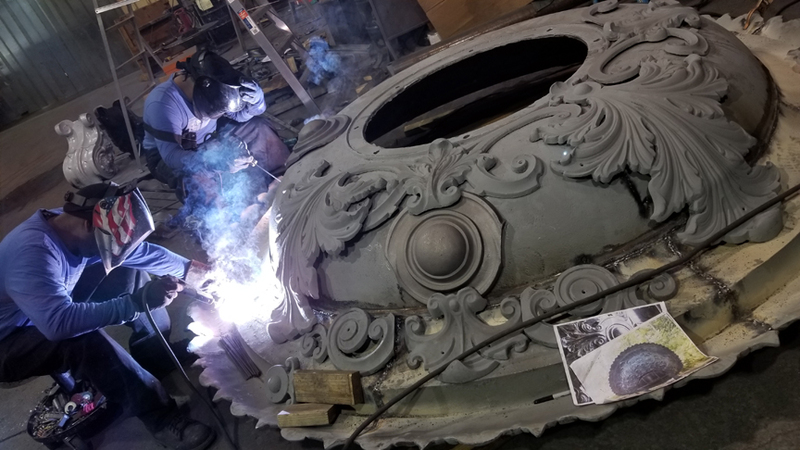 When fully restored, the Studebaker Electric Fountain will make its home in the heart of Leeper Park West. Once again the historic fountain will be a gathering place for grown-ups, children, and all young-at-heart; where special occasions will be celebrated, culture can be expressed, art can be enjoyed, and the entire community can appreciate the beauty gifted to us so many years ago. We hope you will join in support of this special endeavor to restore this unique gift to South Bend for all of us to enjoy today - and for generations to come.